BBC News reported on the problem of migraine this week, interviewing a sufferer about the impact upon her life. Similar to other chronic pain problems, the social dimension must be a focus of treatment. Surely this is a medical problem you say! The BBC spoke with a neurologist who was asked about the causes and treatment options. Standard and expected questions were posed, to which the doctor answered: genetics, certain triggers before outlining the different types of drug. Nothing wrong in those biomedical responses of course and this is what the listeners would anticipate. However, there is so much more to the pain experience and hence possibilities. These were not mentioned so I shall fill in the gaps. Whilst there is a medical aspect in as much as the person needs a diagnosis and the option of medication, this does not give them the opportunity to learn about the condition, how it manifests in them and what they can do to transform it. Some may say that they don’t want to transform their experience and would rather take medication; a short cut. However, the medications do not always work, your life can continue to be dominated by the ‘what if I have a migraine?’, the effects can change over time and of course there can be side effects. This is not to say that drugs do not have a role, as they clearly do in migraine and other painful conditions. But if we widen the picture and see the reality, there is a person with a life within society that is living the experience. This is the context that has implications for treatment, training and coaching. “How does this affect the person and their life? How does the experience of migraine affect the person’s work, family, relationships and social engagements? How do these effects then impact upon the person and their life? The modern way to address pain is using the biopsychosocial model. This way of thinking is a doff of the hat to the biology of pain (physiology, pathology etc), the psychology (how the person thinks and feels about their pain) and the social impact (what does this mean for their life and what can the person do?). Having spoken to and worked with people suffering chronic pain for many years, it is the social dimensions that predominate in effect together with the way they think and feel (based on their beliefs about pain, themselves and the world). People are not so interested in the chemicals, receptors and the brain as examples, and why would they be? When you are in pain you want to, you are compelled to take action to bring about a change in state: from protect to healthy. One of the main problems is that the person with chronic pain will be ‘in’ or ‘near to’ a protect state for much of the time. They must learn how to change state using a range of practices. We change state often through each day. That is normal. However, if the protect state predominates, then we can suffer the consequences in many ways. Pain is one way, but there can also be feelings of anxiety, tension and a range of common ‘ills’ such as irritable bowel syndrome, headaches, fibromyalgia, chronic musculoskeletal pain, jaw pain, pelvic pain and others that result from being on alert. A state of readiness like this uses much energy, it is exhausting, and affects concentration, memory and mood as we adapt and change biologically and behaviourally over time. We learn. Sleep is typically affected because as we lay down, our system check out the environment for danger (lions!) and so we remain awake despite chronic tiredness. Being on alert means that we are ready to fight, run or freeze, all of which require musculoskeletal action. This manifests as tension but we are continually ready to act, especially in a new environment, which is why going somewhere different can be threatening and worrying. Migraine is also one of these common functional pain syndromes. The physiology of migraine certainly involves the brain but there is a body in which we live, where our thoughts are embodied and we act in the world. The biological changes that occur in migraine and in other pain states are sampled by the brain and given a meaning. If the interpretation is one of threat which results in a state of alert and protection. It is the latter that can result in pain, because pain is part of the way we protect ourselves in the face of an uncertain threat. How dangerous are bright lights? They can be unpleasant and cause us to look away or close our eyes, yet in the migraineur they can trigger an incredibly potent response that is mighty in bringing that person to a halt. The systems interpret that as being potentially very dangerous. In a predictive processing context, the brain ‘predicts’ that the possible causes of the sensory information are such that my experience is one of migraine. Of course this has a different ‘feel’ in different people including pain, sensitivity to light and sound, nausea and vomiting. A focus of the BBC interview was upon employers and how they perceive migraine. We can extrapolate this to any chronic pain condition in as much as without true understanding, there is typically little support. Work and chronic pain have not traditionally been good bedfellows, yet with such numbers of people suffering and the escalating costs to society, this is no longer a debatable point, it must change. At a basic level, surely we want to look after each other and our employees? There are positive changes afoot thankfully, but this must accelerate. Let’s run an example to illustrate the problem. The person who suffers migraines worries that the symptoms will affect her performance. This raises the pressure. They suspect or know that they receive little sympathy or support from their employer. This raises the pressure further. 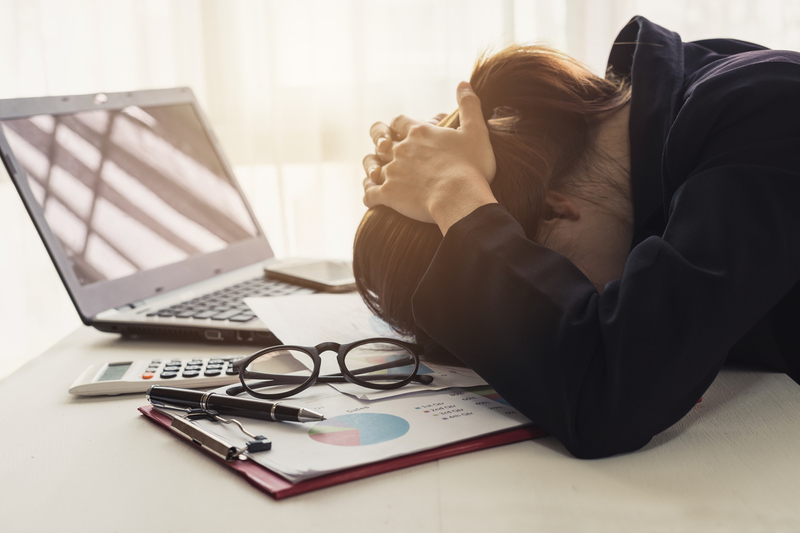 Stress responses, like pain, emerge in the face of a perceived threat and hence the very thought that your job may be under threat has an impact. This is a simple account without even considering other demands in life. Even from this example you can see how the problem can be amplified. The employer may claim that they cannot afford to have an employee who is off regularly. The counter to this is that they could support an approach that gets the best out of that person because they feel supported — e.g./ positive strengths based coaching. They are not having time off because they want to! The essence of the positive team is to get the best performance from individuals and the team, supporting each other with a purpose and driving towards a shared vision. With open communication and a compassionate approach in the workplace, this can be achieved. Migraine and the body ~ where am I? There are many adaptations associated with a persistent pain state. This includes changes in the brain, especially in the emotional areas, which is why we feel different beyond just the sensory qualities or intensity. The world looks different, we think differently and we move differently. Our body can have a different feel as the sense of where we are becomes blurred and less accurate. You may notice being a little more clumsy or awkward. Body sense is inherently part of whom I am and therefore when that aspect of ‘me’ changes, I do not feel myself. Most people I ask will tell me that they don’t feel like themselves. There is a mismatch between what they expect and what is actually happening. In fact, this creates a threat and hence drives us towards a protect state. “You don’t know where your head is at…. People I see with migraine, some coming direct for that problem and others telling me about it when I ask (I always ask! ), commonly demonstrate a loss of sense of where their head is in space. ‘You don’t know where you head is….in the nicest possible way’ I say to them. Keeping our eyes level is a basic survival mechanism that allows us to see the world and look out for possible danger. Naturally this involves keeping our head position upright, which in turn relies upon accurate and efficient sensorimotor control. Anything that affects this is inherently threatening, and we adapt very well. But there is a cost that includes muscles tension from overwork and guarding, which hurts, and altered movement patterns. With the existence of possible threat, the autonomic nervous system is doing its job (working with other systems, in particular the immune system) and preparing us for a fight or to run away. This includes blood flow changes together with the shift in our attentional bias, emotional state and perception that are co-ordinated in a multi-system fashion. In terms of migraine, these mechanisms are all at play. This is a very brief look at the complexity of how we work, yet one can see from this description how problems emerge in us, but also what we can do. For example, simple practices of creating inner calm to mobilise the parasympathetic nervous system and body sense training are practices we can learn deeply so that we become skilled at shifting state. As with all chronic pain states, we can choose the positive approach. This means that we decide upon the way we think about the challenge, focus on a vision of what we want and then follow principles and practices to achieve successes. The programme of practices will vary from person to person as we all have our own picture of what we want to achieve in life. The Pain Coach Programme by its very nature is flexible to the needs of the individual but follows the framework of success, using the principles of practice, understanding and compassion. Everyone wants to lead a happy and healthy life in a sustained way. To enable this to happen we must choose a way onward that keeps this picture in line with our thinking and our actions that are entwined, or embodied, and lived uniquely by the person. Each moment is fresh and new. We change, we grow and we learn, all setting the scene for achieving that healthy, happy life according to the choices we now make.